The 2018 grower program for Envita is in full swing throughout the United States giving many growers the chance to see first-hand how Envita’s turns plants into n-fixing machines for increased yields. 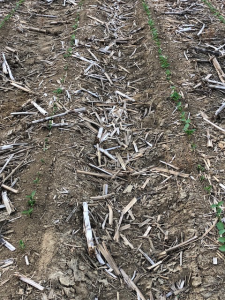 While we don’t often see the full impact of Envita until harvest, we sometimes see positive Envita effects at emergence and may even see a greener color and thicker foliage in-season. Annie Dee of Dee River Ranch, is participating in the trial this year. She farms with her family on 10,000 acres in Aliceville, Alabama one of the earlier planted sites in the trial. 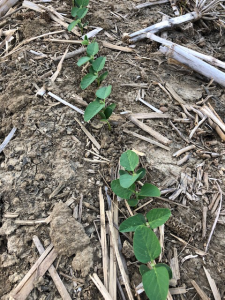 Last week Annie shared photos of her soybean trial. 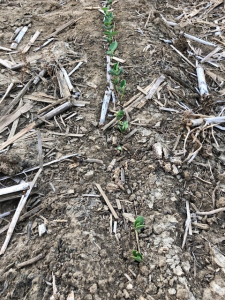 Photos show Envita treated soybeans emerging earlier and more evenly than the untreated seed. Strong, early, consistent emergence is, of course, a great start to getting to the best yield. Thanks for Annie for sharing her photos.